Election Tracker LIVE Updates: Congress chief Rahul Gandhi today said the Congress would scrap the NITI Aayog and replace it with a "lean" Planning Commission if it's voted to power. He said the NITI Aayog, which was introduced by the Modi government, had served no purpose other than making marketing presentations for the PM and fudging data, while the Planning Commission will have renowned economists and experts as its members. The Congress chief also said the Congress' soon-to-be released manifesto will lay major thrust on jobs creation, addressing agrarian distress and strengthening the education and health sectors besides charting a roadmap to boost economic growth. Without divulging specific details of the manifesto, Gandhi said it will have a well-thought out "strategic plan" for creation of jobs on a "huge scale" and a roadmap for transformation of the agriculture sector, besides ways to boost small businesses and the economy at large. The Aam Aadmi Party plans to release its manifesto by the end of next month with a focus on issues related to women safety, health and education, senior party leader Gopal Rai said. The national capital votes on May 12 to elect seven MPs. A member of the manifesto team said they have been asked to come up within a week with the core issues related to the three topics. Rai said the preparations for the polls are in full swing and the party was trying to establish direct contact with the people at the grassroots level. Congress chief tweeted, "If voted to power, we will scrap the NITI Aayog. It has served no purpose other than making marketing presentations for the PM & fudging data. We will replace it with a lean Planning Commission whose members will be renowned economists & experts with less than 100 staff." 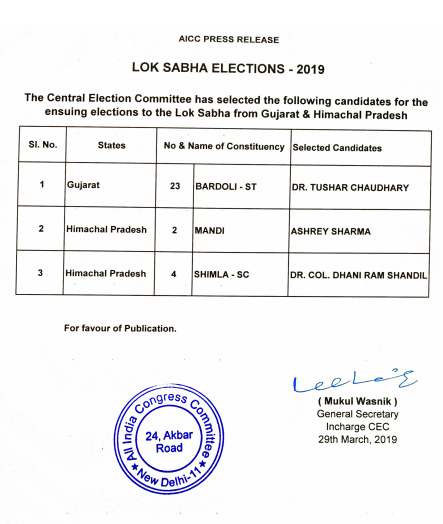 Congress releases a list of 3 candidates, 1 for Gujarat and 2 for Himachal Pradesh for the forthcoming Lok Sabha elections. 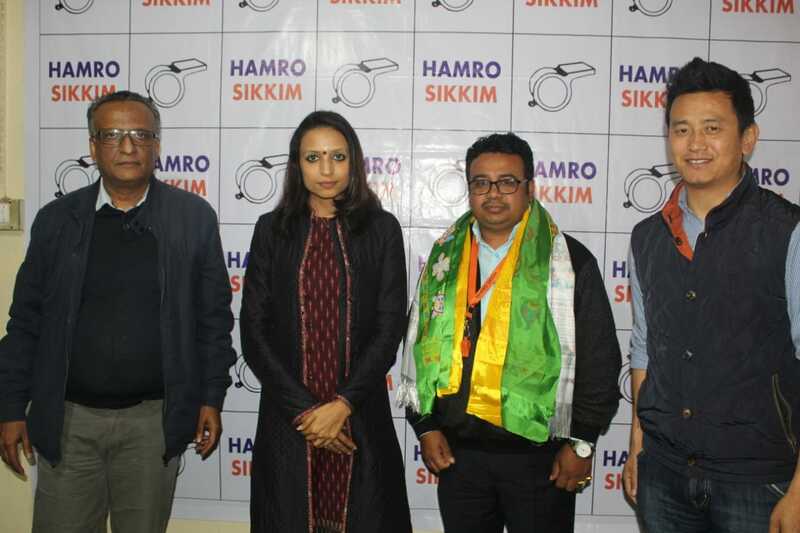 BJP’s Amar Lohar today joined the Hamro Sikkim Party (HSP) in the presence of the party president Bina Basnett and working president, Bhaichung Bhutia. Lohar was further appointed as the Vice President of the party in charge of East District, with immediate effect. “During demonetisation, when Narendra Modi made the entire country stand in bank queues, and Amit Shah's bank turned Rs 700 crore black money into white,” Congress President Rahul Gandhi addressing a gathering in Haryana's Karnal. 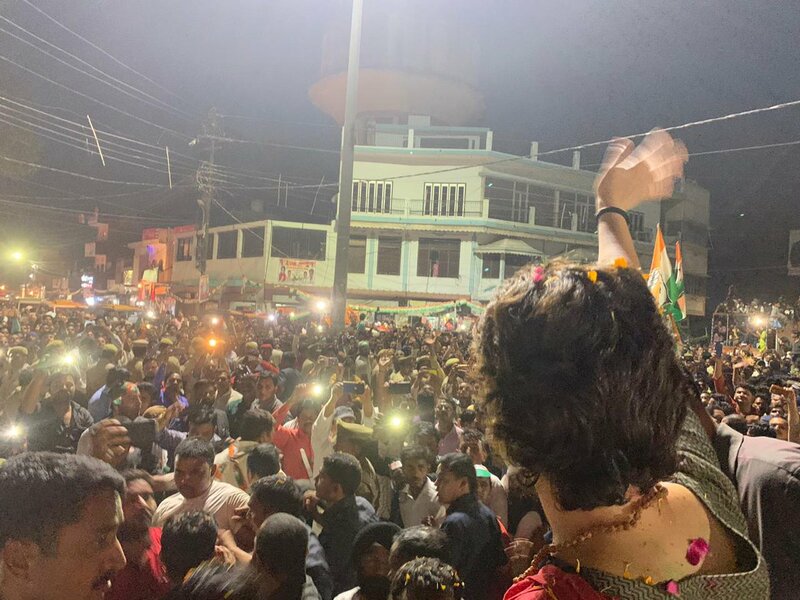 Congress general secretary Priyanka Gandhi holds a roadshow in Ayodhya. BJP president Amit Shah to file nomination for Lok Sabha elections from Gandhinagar, Gujarat, tomorrow. Shah is replacing BJP veteran LK Advani, who had been winning uninterrupted from Gandhinagar since 1998, from the prestigious constituency. 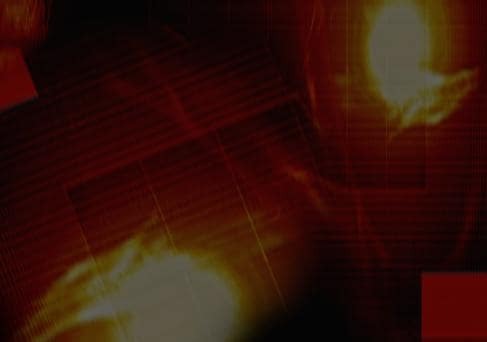 BJP Asks EC to Taken Action Against Chinese App on Facebook for Spreading Fake News | The Delhi BJP Friday alleged that the "Chinese social media applications on Facebook" are spreading misinformation about the party and asked the Election Commission to take action against their interference in the poll process. In a letter to the Election Commission, the party said advertisements on the apps are being created and shared "with an intention to create a disinformation campaign against our party". The party also demanded legal action against the apps. “We kept forward our wish to let me contest from Mumbai North-East constituency, but haven't received a positive response from BJP yet. Shiv Sena and BJP are having differences over this constituency, so I'm ready to contest from there,” Republican Party of India's Ramdas Athawale said. Ahmednagar Congress Leader Declares Support to BJP Candidate | The bickering within the Congress-NCP alliance became evident after an office-bearer of the Ahmednagar unit of the Rahul Gandhi-led party declared support to Sujay Vikhe-Patil, the BJP candidate from the Lok Sabha seat in Western Maharashtra Sujay's father, Radhakrishna Vikhe-Patil, is a senior leader of the Congress in Maharashtra. The Congress leader was keen to field his son from Ahmednagar on its ticket, but the NCP, which had been contesting the seat as per the arrangement between the two parties, did not relent. Sujay Vikhe-Patil, who is pitted against NCP's Sangram Jagtap in the constituency, earlier this month joined the ruling BJP. 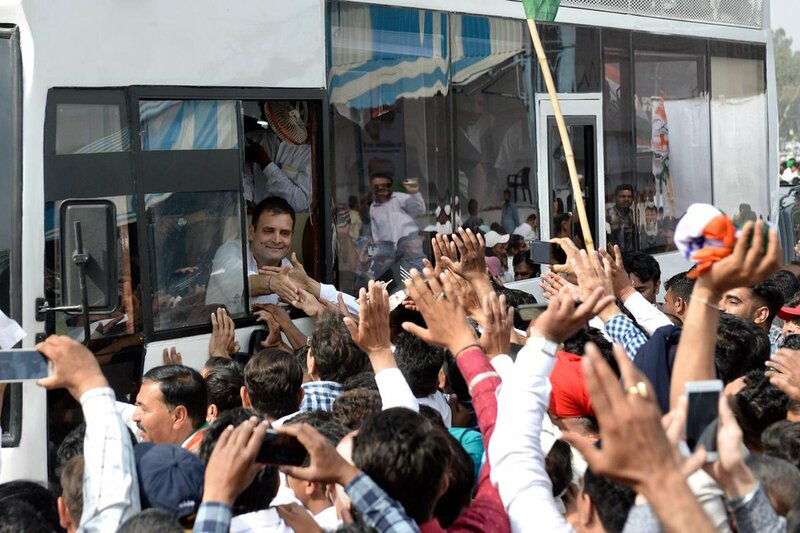 Visuals of Congress President Rahul Gandhi during his ‘Parivartan Bus Yatra’ across Haryana. “Amethi my 'karmabhoomi' and will remain so, the decision on contesting more than one seat to be taken by party soon. It is up to Priyanka to decide if she wants to contest election or not,” Congress chief Rahul Gandhi told PTI. Biju Janata Dal (BJD) release list of 18 candidates for elections to the state legislative assembly. BJP Candidate Quits Party to Join BJD | The BJP's Odisha Assembly candidate Bhagirathi Sethi from Anandpur constituency resigned from the party on Friday and joined the ruling Biju Janata Dal. Sethi along with his supporters joined the regional party in the presence of Chief Minister and BJD president Naveen Patnaik. "I am glad that Bhagirathi Sethi has returned to the Biju Janata Dal. His rejoining will strengthen the party," Patnaik said. "I decided to quit BJP due to infighting in the party and conspiracy against him. This is my home coming," Sethi told reporters. Modi Went to Have Briyani in Pakistan: Priyanka | “Who went to Pakistan to eat biryani?” Congress general secretary for UP-East Priyanka Gandhi said on Modi’s remarks that Pakistan will celebrate if Congress wins. When asked about contesting from Varanasi, she said, “If party asks I’m ready to contest from anywhere.” Congress never did politics of tokenism ..Congress do what we say. My family never called them raja and maharaja, she added. Chandrababu Naidu Calls Centre's Scheme as His Own: Modi | "Now people have started calling Andhra Pradesh chief minister U-turn Babu (Chandrababu Naidu) and Sticker Babu ... Because he takes U turn on his stands and calls central government schemes his own schemes," PM Modi said at a rally in Kurnool. Your vote will ensure the double engine for the development of Andhra Pradesh - BJP government in the state and BJP government at the centre. It's their bad intentions that have kept the farmers of the state thirsty. Polavaram dam is a symbol of their same intention. The centre has released Rs 7,000 crore. They keep on increasing its cost. This has led to shortage of water and lack of establishment of industries: PM Modi at a rally in Kurnool, Andhra Pradesh. 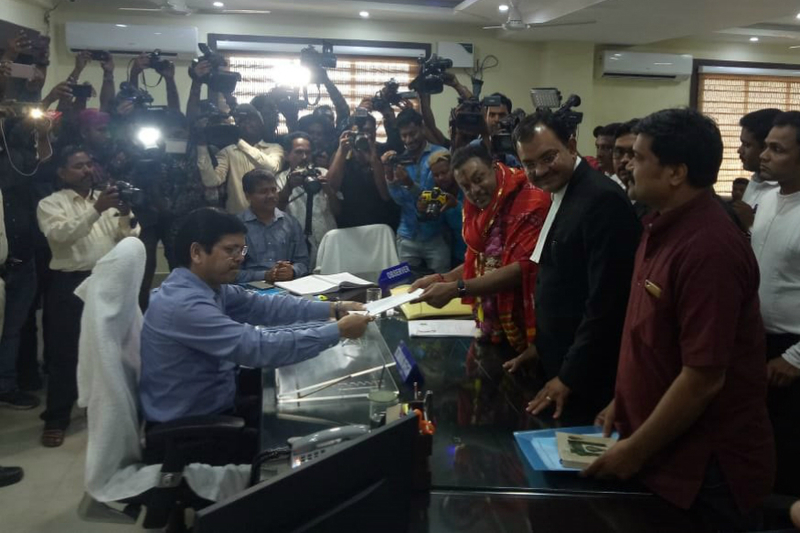 BJP national spokesperson Sambit Patra files his nomination for Puri Lok Sabha constituency, at District Collector and Magistrate's office in Puri. 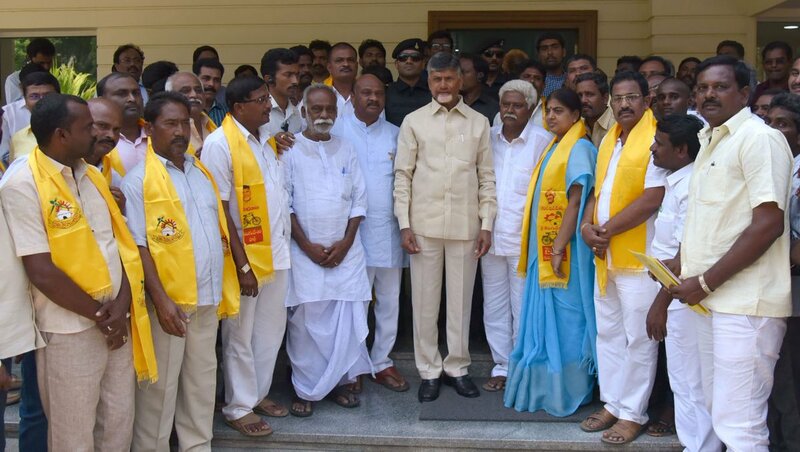 Mutyala Papa, former MLA from Narsipatnam, joins TDP along with her husband Peda Babu and her followers, in presence of TDP president and Andhra Pradesh Chief Minister N Chandrababu Naidu. 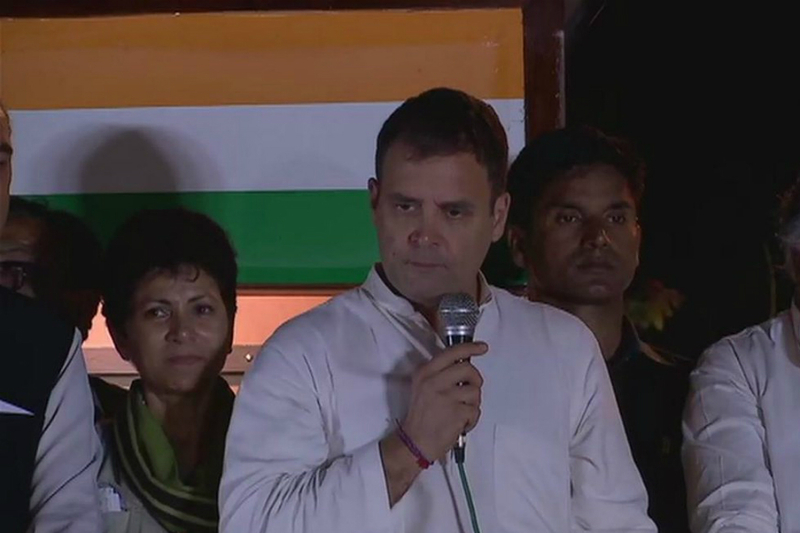 Cong Will Have Strategic Plan for Job Creation in Huge Scale: Rahul | “Congress manifesto will be people's voice, not one man's views,” Rahul Gandhi told PTI. Congress manifesto to lay thrust on job creation, redress agrarian distress, boost education, healthcare and economy. The party will have well thought out 'strategic plan' for the creation of jobs on a 'huge scale', Rahul Gandhi said. TDP suspends its nine rebel members who filed nominations after not getting tickets from the party - KPRK Phaneeswari, K Srinivasa Rao, Kantamaneni Ravi Shankar, M Madhava Reddy, Bommanacheruvu Sriramulu, N Vijaya Jyothi, A Raja Gopal Reddy, Sarva Srinivasarao, N Viswanadha Reddy, ANI reported. 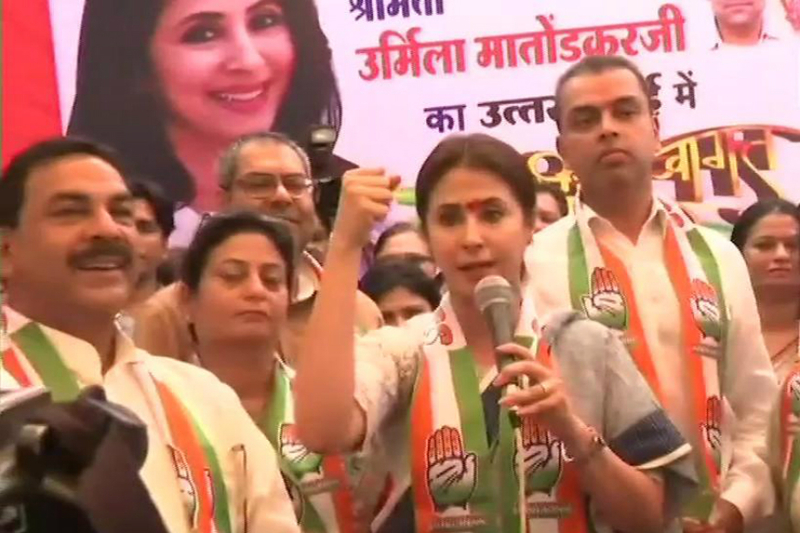 Actor-turned-politician Urmila Matondkar begins her election campaign. She had joined Congress party on Wednesday and will contest from Mumbai North parliamentary constituency. Talking to the media after joining the party, she said, "I am here because I believe in the ideology of Congress and what the party stands for. I have not joined the party for the sake of elections. I am here to stay." Tamil Nadu government approaches Madras High Court to issue a gag order, restraining DMK chief MK Stalin from speaking about Kodanad Estate heist during the election campaign. Madras High Court seeks response from MK Stalin in this regard by April 3. Congress is set to release its manifesto next week, ahead of the first phase of polling on April 11. He said the manifesto, being prepared after extensive nationwide consultations with key stakeholders, will reflect the people's voice and not just one man's views, an apparent reference to Prime Minister Narendra Modi. Patidar quota leader Hardik Patel will not get his electoral debut in the 2019 Lok Sabha election as the Gujarat High Court on Tuesday rejected his petition seeking a stay of his conviction in a 2015 rioting case in the state. Patel, who had joined the Congress recently, had moved the high court on March 8 and challenged his conviction in a 2015 rioting case in Mehsana district during the Patidar quota agitation. A Visnagar sessions court sentenced him to two years’ imprisonment and he cannot contest elections as per provisions of the Representation of the People Act, 1951. Congress president Rahul Gandhi today attacked PM Modi over 'Mai bhi Chowkidar' slogan. 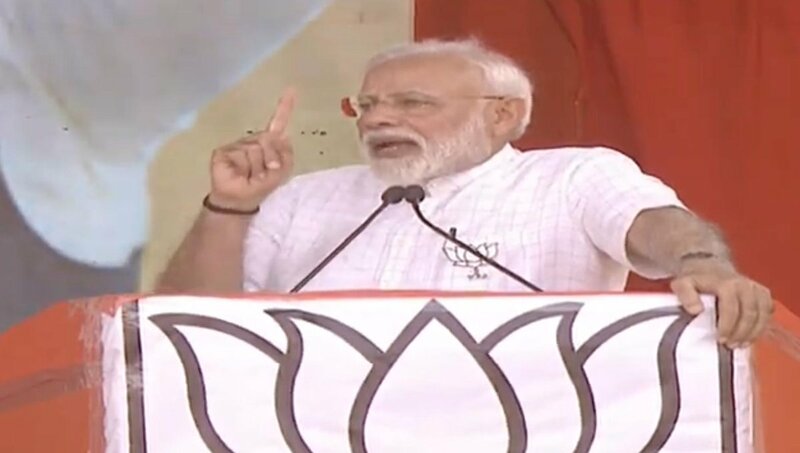 He said that in 2014, the prime minister told voters to make him the 'chowkidar' (watchman), but five years later, he made everyone a 'chowkidar'. Gandhi added that, however, not all are 'chowkidars' as there were many 'chors' (thieves) too. Congress general secretary Priyanka Gandhi slammed BJP for its "anti-BJP" approach and asked voters if they had received Rs 15 lakh as promised by the NDA government. She said that people have told her that PM Modi has not visited even a single village in his constituency in the last five years. Priyanka is addressing a rally in Adilpur, 48 km from Ayodhya. Lalu Prasad's daughter Misa Bharti is set to contest Lok Sabha elections from Pataliputra, while elder son Tej Pratap Yadav's father-in-law Chandrika Rai will fight from Saran. Meanwhile, Tej Pratap has threatened to contest as an independent candidate against Rai. 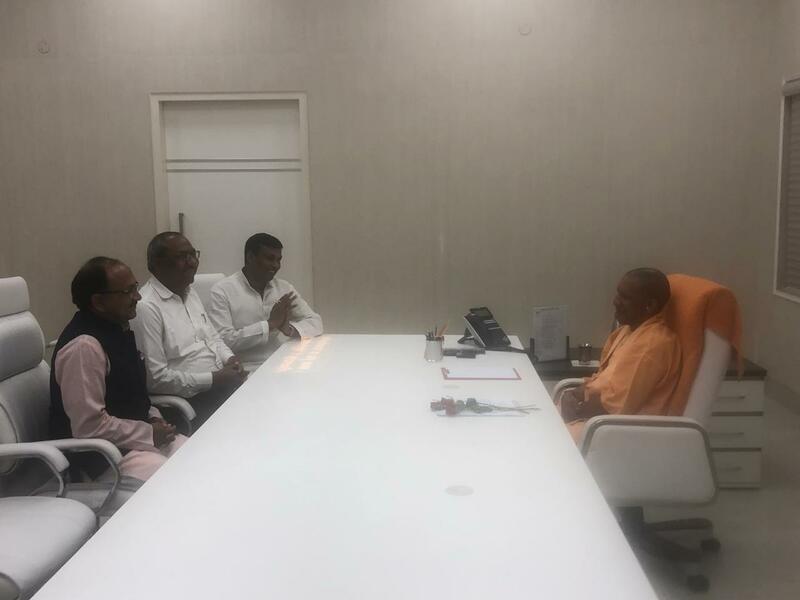 The Bihar mahagathbandhan released its seat-sharing agreement for 40 Lok Sabha seats today. The RJD will contest on 19 seats, Congress on nine, RLSP on five seats, HAM(S) on three seats, VIP on three seats and CPI(ML) on one seat. The Congress released another list of candidates for the upcoming elevctions, naming former Speaker Meira Kumar from Sasaram in Bihar and Brig. KP Singh Deo from Odisha's Dhenkanal. In a surprise move, the party also replaced jailed politician Amar Mani Tripathi’s daughter from the Maharajganj seat with business journalist Supriya Shrinate. Expressing her gratitude to the Congress, Shrinate tweeted, "It will be an honour to keep my late father’s legacy alive. I look forward to making a meaningful contribution." Actor Urmila Matondkar, who recently joined the Congress, will be the party’s candidate from North Mumbai. Matondkar, while talking to the media, had said she joined the party because she believed in its ideals. She added that she felt the need to join the party as the freedom to express was under attack in the country and there are numerous examples in this regard in the last five years. Meanwhile, after visiting Gandhi family bastions of Amethi and Raebareli, Congress general secretary Priyanka Gandhi Vadra will visit Ayodhya today. Priyanka today said it was her “personal preference” to work for the party but if the Congress asked, she would contest elections. Former Faizabad MP Nirmal Khatri said the local unit of the party will try to get her to visit a temple in the town. Earlier this month, she had taken the river route to visit parts of eastern Uttar Pradesh, including Prime Minister Narendra Modi's constituency Varanasi. Two days ago, Gandhi had said in Amethi that she will contest the elections if her party asks her. However, she said her own wish is to work for the party's organisation. "If my party asks me to contest the polls, I will definitely do so. But my personal wish is to work for the party's organisation as a lot of work needs to be done," the Congress leader told reporters. The Congress general secretary in-charge of the state's eastern districts kicked off second leg of her campaign on Wednesday with the visit to Amethi, her brother Rahul Gandhi's constituency. She said, "I have told party workers that it is very important you campaign properly this election. You should go to each and every house, and tell people that this election is to save the nation. Not Rahul Gandhi, but the nation should win this election." Meanwhile, Gandhi's brother and Congress president Rahul Gandhi campaign in Haryana and go on various roadshows. Prime Minister Narendra Modi is scheduled to address people in in Odisha, Telangana and Andhra Pradesh. The Opposition Bihar alliance can also announce its seat-sharing formula today. According to reports, the Congress was keen to bring the Left parties on board the Mahagathbandhan but the RJD was averse to it.